It’s a new year and that means another chance for YOU to rise and shine! Allow us to assist with a blend which will bestow a positive attitude featuring the beauty of a spiritually healing, emotionally uplifting crystalline rose, mingled with refreshing peppermint which offers further awareness and clarity, further imbued with the metaphysical balance bestowed by ancient amber. With this simple but gorgeously enlightened perfume may you ascend to untold levels of personal achievement and emotional understanding. 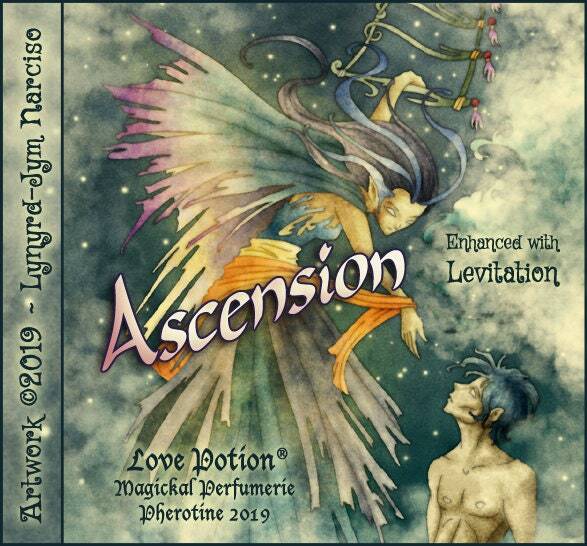 This delightful fragrance receives a further boost of elevation with our exclusive LEVITATION POTION pheromone formula, because everyone could use a lift! Put a spring in your step and a song in your heart…our Levitation Pheromone Formula has cleared you for take off! PEPPERMINT ~ Stimulates, restores and uplifts. Cleansing, purification, relaxation, sleep, healing, psychic amplifier.